The Bonington Theatre within Arnold Leisure Centre is unique in England, being the only purpose built combination of a theatre and swimming pool (there are just two others in Northern Ireland). The Bonington Theatre is part of a modern complex of buildings including the local leisure centre and library. The theatre is a flat floor space situated on the first floor, with raked seating (178 seats) with an adjacent, well-appointed bar with soft furnishings and a baby grand piano. 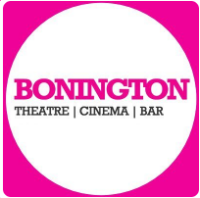 The Bonington Theatre is one of the best-equipped theatres for its size in Nottinghamshire. It is well liked by both visiting performers and local community groups and attracts audiences from all over north Nottinghamshire. The theatre presents wide-ranging, mixed programme of amateur and professional performances including jazz, folk and popular music gigs, drama and dance and more traditional community-produced drama. The theatre is home to Bonington Players, Prospect Players, Nottingham Organ Society, Flying High Youth Theatre and Jazz House. The theatre has good physical access, lift, wheelchair access and hard of hearing loop system. Lift and Wheelchair access. Hard of Haering Loops.